The events of Atlas Shrugged seem to be only years away from unfolding in Canada. Just like Rearden and his colleagues, some people's wealth and prosperity are on the brink of becoming redistributed by a hit squad of bureaucrats who represent the best interests of the public. 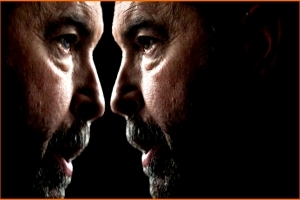 The leader of this frightening mafia is Thomas Mulcair. 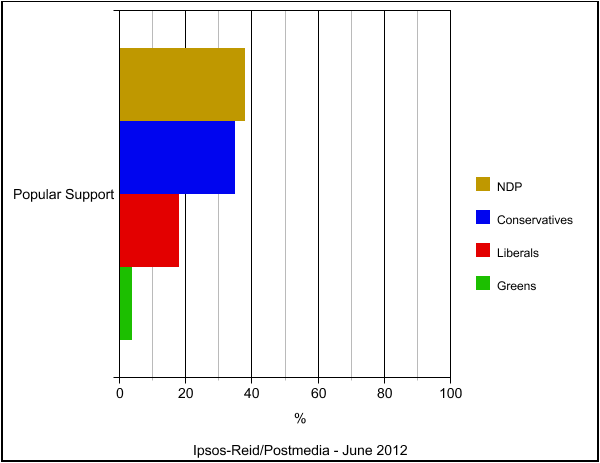 A recent poll from Ipsos-Reid shows the NDP at 38% in public support. All the talk of Dutch Disease seems to have only stimulated the moochers and freeloaders across this country who feel they have some sort of divine entitlement to everyone else's wealth. Ayn Rand's depiction of real societal evil is unfolding right before our eyes. The moonbat mythology that depicts free markets and free minds as demonic megaliths seeking to stomp out collective equality with their deregulation and privatization is becoming the dogma of common citizens. This new dogma also contains an eerie resemblance to a witch hunt. The witch being targeted by the whims of the angry mob is Stephen Harper. Mainstream media has tried to pass the idea that Stephen Harper and his Conservatives are sinking in popular support, even though their 35% position in public support is within the margin of error and more than likely unchanged since May of 2011, when they won their majority with only 39%. 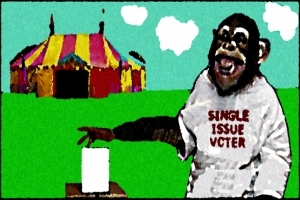 It is highly likely that most of the NDP's gains in 2011 were a result of voter ignorance. The youth vote that helped propel the NDP to official opposition was led by hatred and single issues rather than any understanding of party history or ideology. Most of the NDP's young voters don't know much about what the party represents, besides free internet. Over one year later, much of the same is happening. Today, though, it's more about hating our Prime Minister. The same poll puts the Liberals at 18%. This makes the cause of the NDP's rise more obvious. As the president of Ipsos-Reid, Darrel Bricker, points out, most of what is happening is a strong opposition to Stephen Harper. Progressive, lefty voters are coalescing around a united force in an attempt to defeat Harper. With the Liberal's weakening by the minute and polls showing gains for the NDP following their strong 2011 performance, the left is becoming more confident in Mulcair's ability to dethrone our Prime Minister. It's a classic example of the bandwagon effect being driven by unabashed hatred and contempt. Other pollsters have also concluded in past weeks that Canadians are becoming more polarized around particular issues of principle, like the role of government, healthcare, and economic management. Poletical's recent survey found that Canadians still regard Harper as more competent than Mulcair or Rae, despite his polarizing status. Poletical readers also find Harper's performace as Conservative leader more satisfactory than the performance of Thomas Mulcair as NDP leader. Bob Rae, who recently made the wise decision to not run for the party's permanent leadership, scores least favourably. What seems to be happening is a natural merger of lefty forces. There's been lots of talk about an “official” Liberal/NDP merger, but if these poll numbers continue their current trends, there won't be any need for one. The Liberals will eventually fizzle out, which may in fact be a good thing for Conservatives. The Liberal party still acts as home for some moderate conservatives and libertarians who believe in free markets. If the party disappears, they will have only one place to go. Canada's polarization and transformation into a two-party democracy has only just begun.